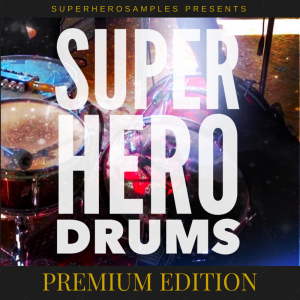 On his facebook fan page, Tonebuilder has put another set of 66 of his highly acclaimed electronic drum samples for free download. Like his other freebies*, these are a definite must have! Crafted with high end analogue and digital outboard equipment and lots of love, these sounds are among the best out there. Like always, Tonebuilder gives you 24 and 16 bit-samples in wav and aiff format along with mappings for EXS 24 and Kontakt. Don’t forget to give Tonebuilder a like and to share this article with your friends if you like the samples. *You can get the other freebies here (log in with your facebook account and scroll down a little), here, and here. P.S. : If you want more of Tonebuilder’s stuff, you should definitely check out his strictly limited Driven Machine Drums Strikes Back sample pack. It contains 2072 (!) electronic drum samples crafted with lots of love and some of the finest equipment out there. These could be the heart of your personal electronic drum sample library. And as Tonebuilder will sell only 966 copies in total, you won’t hear these sounds in a lot of other productions. If you like to be one of the 966 lucky owners of DMDSB, you have to hurry, as there are only a few copies left! And with Tonebuilder’s 30 Day Trial Policy there is absolutely no risk for you.